Now that you’ve decided on the new 2017 Jeep Grand Cherokee for your next SUV, you will need to choose a trim package. 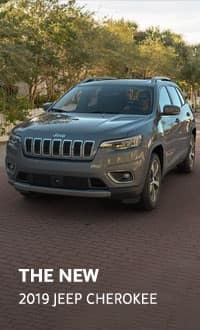 Although there are several trim levels and special editions available with each model year, the two most popular Grand Cherokee models sold at our Jeep dealership in Indianapolis are the Laredo and Limited. What’s the difference between the Jeep Grand Cherokee Laredo and Limited? Read on to find out or call in at (317) 982-5944 for more information. The 2017 Jeep Grand Cherokee Laredo starts at $30,395 MSRP with 4×2, while the much more popular 4×4 variant starts at $32,695 MSRP. Moving up to the 2017 Jeep Grand Cherokee Limited will cost you $37,995 MSRP for 4×2 and $39,995 for 4×4. Both trim levels come standard with a 3.6L V6 engine, rated at 295 HP at 6,400 RPM and 260 lb.-ft. of torque at 4,800 RPM. Drivers who choose the Limited trim may also opt for the available 3.0L EcoDiesel V6 or 5.7L HEMI® V8 engines, but the standard gasoline V6 is the most popular. One difference, however, is that the Laredo comes with the Quadra-Trac I ® 4WD system, while Limited owners will get the Quadra-Trac II® 4WD system. Learn more about them on our Jeep 4×4 information page. 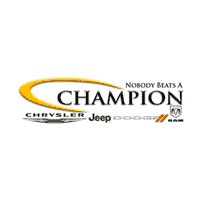 If you would like to experience the performance of either a new Jeep Grand Cherokee Laredo or Limited model first-hand, schedule a test drive at our dealership in Indianapolis. This five-passenger SUV is comfortably roomy no matter which trim package you choose, but there are several differences in features that you should be aware of before you decide on a trim level to purchase. The primary difference between these two trims is that more advanced technology is available on the Limited than on the Laredo. However, most of this tech comes as add-on options, so that drivers can pick and choose the premium technology features they want. For example, both trims come standard with Uconnect® 5.0 infotainment, Bluetooth® voice command, and a six-speaker sound system. If they choose, Limited owners can upgrade to Uconnect® 8.4 with a larger touchscreen. Like all new Jeep Grand Cherokee models, both the Laredo and Limited trims come with a variety of standard safety features designed to keep your vehicle firmly planted on the road, whether you’re driving on pavement, snow, or dirt. Limited trim owners may also opt to add several advanced driver assistance features, including lane departure warning, forward collision prevention with auto braking, and blind spot and cross path monitors. If you are interested in these features, you’ll want the Limited, but if you prefer to do without, we suggest the Laredo. Visit our new vehicle inventory to find the trim you’ve decided on in a color you like, then make sure to check our new vehicle incentives to see if there are current finance or lease deals specific to the 2017 Jeep Grand Cherokee trim you want.